* If you use apples, be sure to dust them with 1 tsp. of ground cinamon. Roll out pie crust into a long, wide strip. Cut this into about 4 two-inch strips and lay these across the bottom of the baking dish. 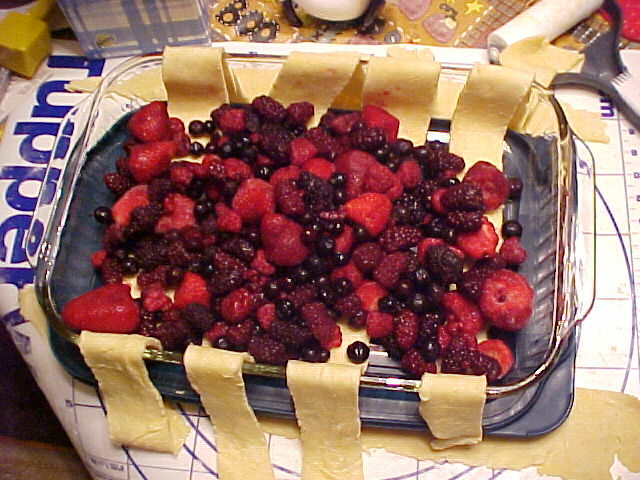 Spread your frozen fruits across the strips of pie crust. 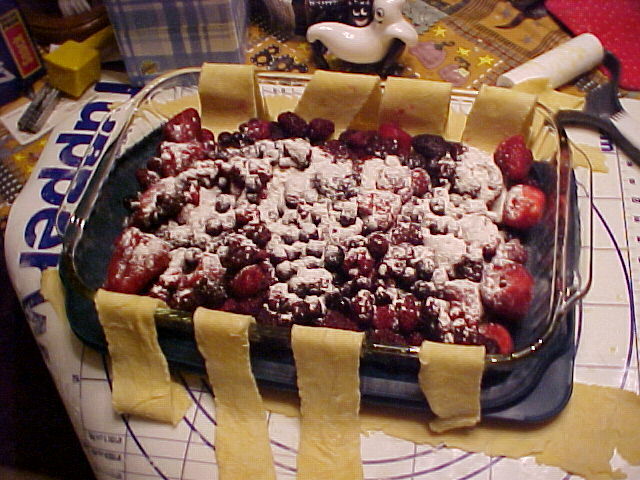 (Shown here are mixed berries: strawberries, red raspberries, blueberries and blackberries). 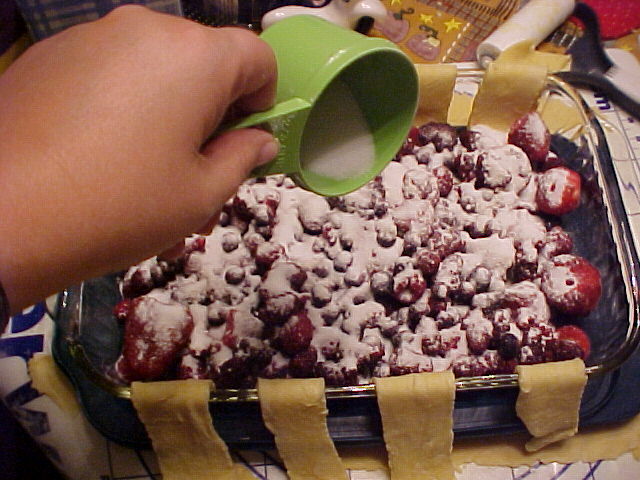 Sprinkle the flour all over the top of the fruit. Don't worry about the "dusty" appearance -- once the fruit starts to bake, the juice from the fruit will combine with the flour and thicken just right. Sprinkle the sugar evenly over the top of the fruit. 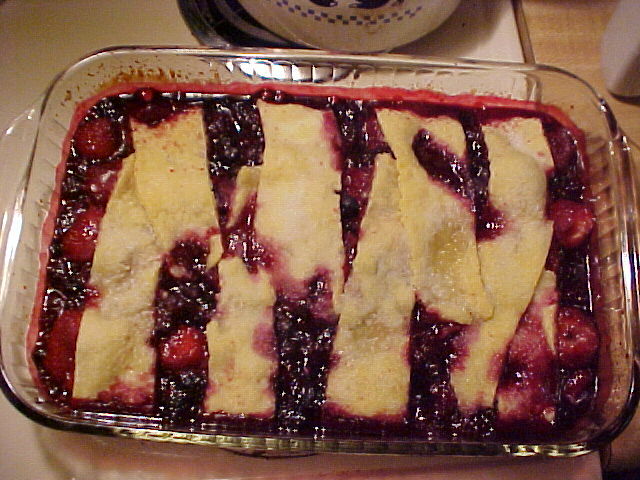 Fold the strips of crust over the fruit and don't worry if they overlap. 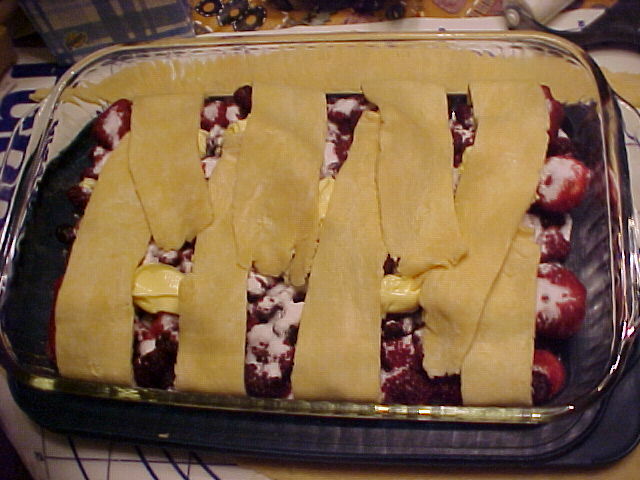 Place in a 375 degree oven (preheated) and bake for approximately 25 minutes. About halfway through this baking time, open the oven, spread a thin layer of margerine or butter on the crust strips and sprinkle extra sugar on top of the crust. 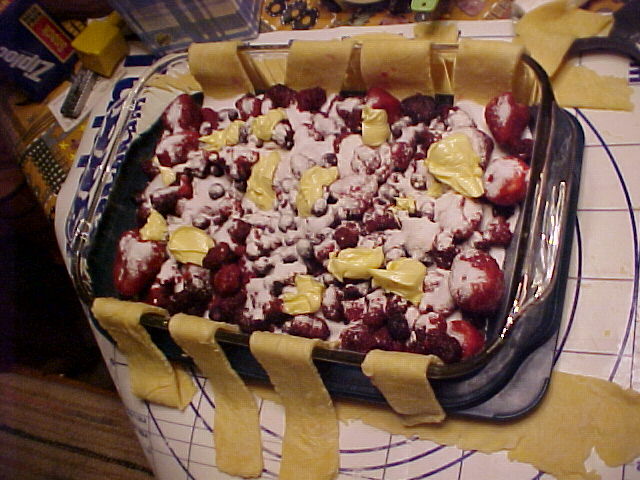 Continue baking until crust is lightly golden brown and fruit is very bubbly. This is best served warm with ice cream! Click below to get the printable version of this recipe using Adobe Reader.